Visit the producer of culatello, one of Italy's best-loved cured meats. Learn how culatello, which means 'little backside' in Italian, is seasoned before being put into a pig's bladder, tied and hung for 8-12 months so that it can cure properly. Hear about the unique moisture in the air is believed to give culatello its delicious flavor. 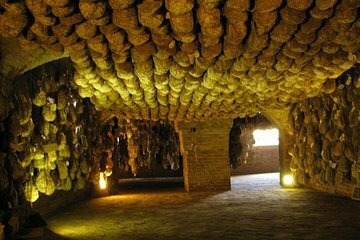 See all aspects of the culatello production, including aging cellars. Conclude your experience with a traditional lunch, which of course includes culatello. Please note: Two people per booking is required for this tour. Local tour leader Matteo Agoletti is a knowledgable person who could explain the ham making process in person in depth. Lunch in countryside nice restaurant with local style dishes as well as Parma ham , choices of wine, cheeses, dessert, pasta.....etc. Absolutely good for value and worth to join.